It was one of the most eagerly anticipated events of 2018 right there with the World Cup: Prince Harry weds Meghan Markle. Couples, singles and those looking forward to tying the knot all took note of the event, watched it, then took notes. Then again, there is something fascinating about the British aristocracy. Though some other countries may have their monarchies, when we think royalty – fed subconsciously by the fairy tales regaled to us of princes, princesses, peas and beasts, and that little bit of the Commonwealth and how it came to be – we think British. So, what lessons can publishers learn from the wedding? In reflection, the wedding between these two is an improbable idea. The British, we have been sold, are conservative; which means that, we have been told, the British aristocracy is ultra conservative. The script would have been that the very British prince would have married an equally British lady, probably a fellow aristocrat. 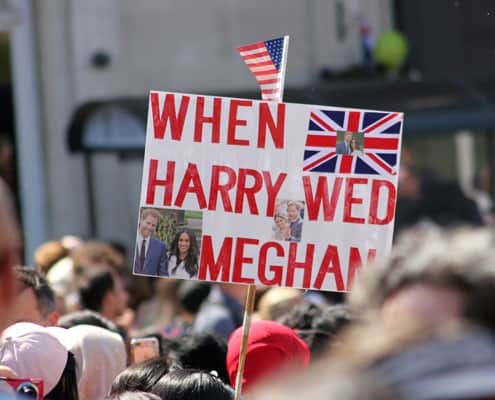 Then here comes Meghan… American (with their American English just to differentiate themselves from the English, the root of the British), outspoken, biracial, actress… far to the left of what is British aristocracy. The blind date that brought the two together which would be expected of us mortals without the guts to approach that striking girl who sings in the choir. In the publishing world, such an idea would be J.K. Rowling and her Harry Potter series. Which means that as a publisher, that so unconventional idea might just be the one to rivet the world with. Are you open to embrace such an idea or is yours the usual business? The idea has now happened and boy and girl are now dating. Now, for me and you, we may have introduced two or four girls to our parents as ‘the one’. Not so for the British aristocracy. As a public personality and a member of the royal household , you take your role seriously. So, we expect the two to eventually get married (which means soon as the prince has come of age) and live happily ever after. The corresponding lesson for publishers? Just like royalty dating, once you have embraced that idea, you have to run away with it. Which means setting resources and time for it, focusing on it and giving it your all; the equivalent of a committed relationship. Still on the process, the dating phase is then closely followed by planning for the marriage; forming a marriage committee, contracting event planners, talking to fashion designers, drawing in family and friends for their support… The equivalent for the publisher being finishing the manuscript, contracting suppliers and generating awareness and goodwill (hype) for the launch of the book. A confession: An African wedding is only as successful as the amount of food served and whether the cake was big enough to go around. So now the day is finally upon us, 19th May 2017, two days after the arrival of ‘Stella’ at the airport from her sojourn in Japan and where she was to be received by a member of Freshley Mwamburi. Venue, Windsor. Weather forecast, sunny and very unlike British weather. It is a good day to do a wedding and the world is all eyes and ears. Who was where, who wore what, who designed the wedding gown? Then again, familiar faces, brand faces – George Clooney, Sir Elton John, Serena Williams, King David and Posh Spice, is that Cuba Gooding Jnr.? Where is Cate Middleton? It’s Kate, Kate with a ‘K’, though she be Catherine, Duchess of Cambridge. Already trying different permutations for tomorrow’s headline – It’s a Princess; subheading, Meghan Markle, the Sparkle. Nah! The uptake for the publisher on the event? Details, details, details. The launch can break or make the book and there is no such thing as over planning.